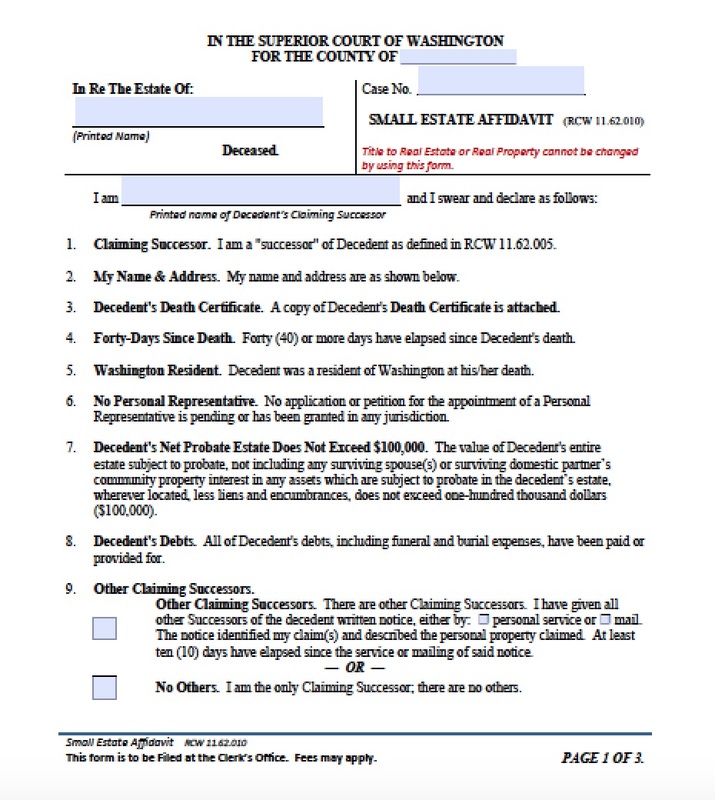 Interested parties, whether family members or creditors, may file the affidavit of heirship in Washington state to claim personal and tangible property, such as bank accounts and motor vehicles, and avoid probate court. The total value of this estate may not exceed $100,000, and any interested party must wait at least 40 days before filing the affidavit of heirship. 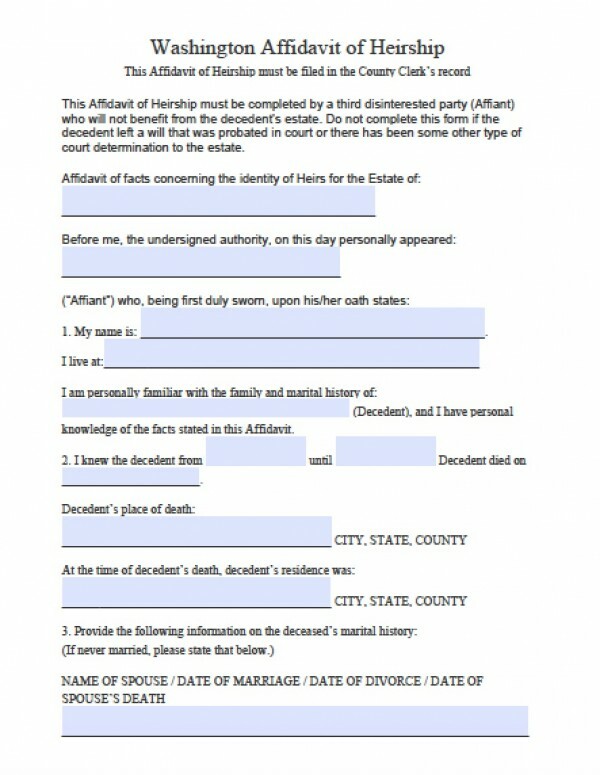 The laws governing the affidavit of heirship fall under Wash. Rev. Code §§ 11.62.010 and following.